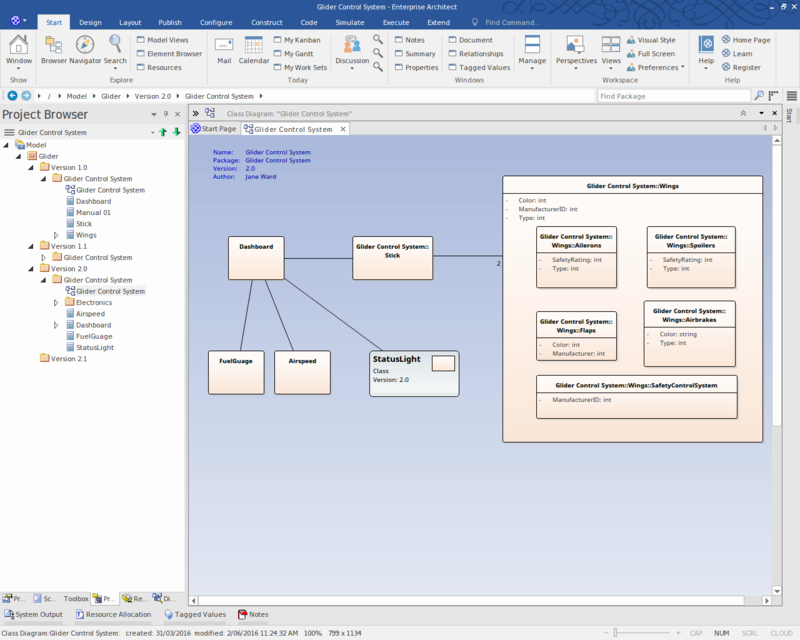 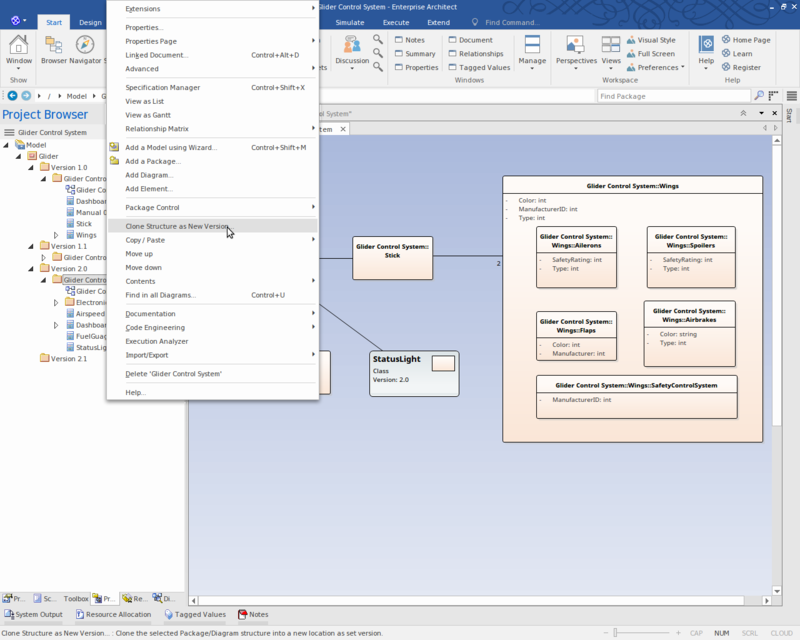 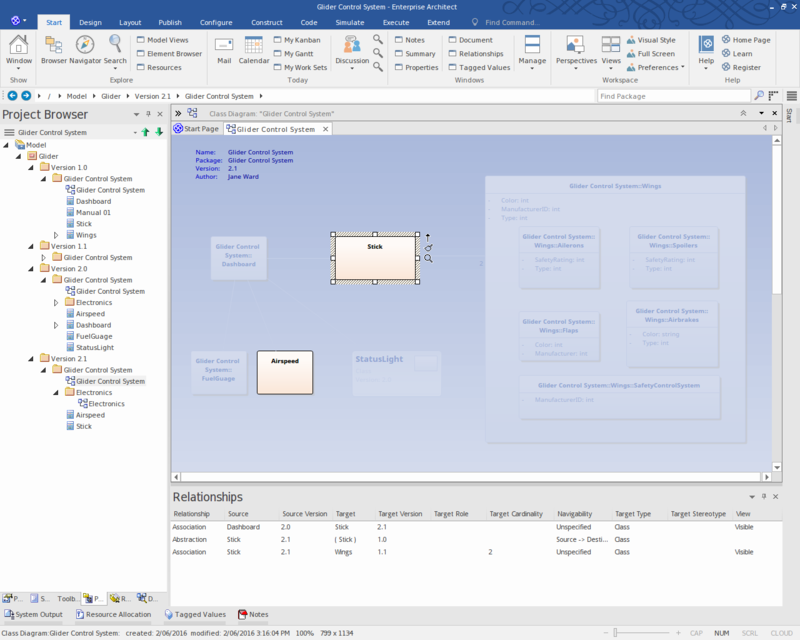 Time Aware modeling is based on using tools to clone a Package structure (Packages and diagrams only) as a new version, and then selectively over-riding parts of the old version with new elements and relationships using either the 'Clone as New Version' capability or simply adding new material to the model as required. This method allows a highly selective and incremental revision or development of a model, whilst maintaining traceability to both earlier and later development. 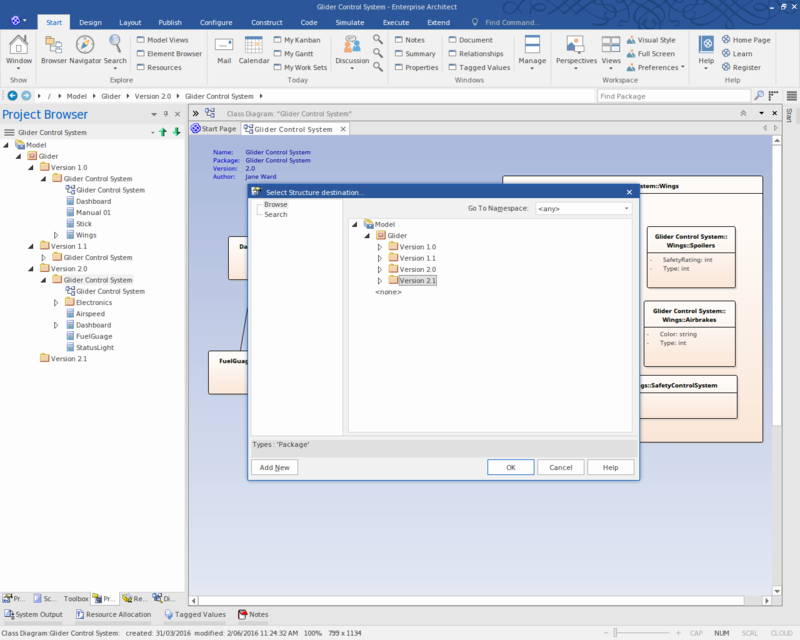 Time Aware modeling is not dependent on Version Control or Baseline functionality, but is an entirely separate capability that helps analysts manage multiple versions or revisions of a model in a consistent and fully traceable manner. 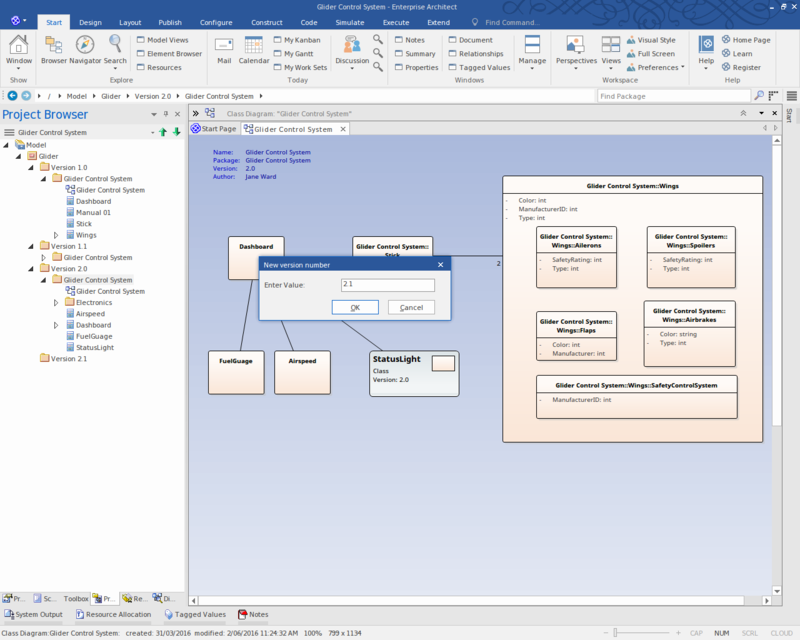 Conceptually it is analogous to the branching and merging in a Version Control system but as stated it is a separate and unrelated mechanism.